Home / WordPress Child Theme: What Is It? Why Should You Use It? A WordPress theme that adopts the functionality of another WordPress theme is called a child theme. These themes are regularly used by those who aim to alter, personalize, or customize existing WordPress themes, without removing its upgradability. Before, there were no simple ways to update WordPress themes without having to lose the changes and customization that you have already applied. This creates problems when, all of a sudden, you find out that the script you’re using has become problematic, and you need to upgrade your themes as soon as possible. You’ll end up making a hard decision of whether you’d have to lose your upgrades upon updating. Aside from that, you’re vulnerable to security breaches if you don’t update as soon as possible. The WordPress team finally decided to put a solution to this problem by creating the parent and child theme concept. The child theme in WordPress adopts the functions and features of the parent theme without altering the parent. This lets users alter the styling of the parent theme and upgrade features without having to lose the capability for parent theme upgrades. Most WordPress themes may have child themes; but, not all WordPress themes are suitable parents. A parent theme with a narrow scope of functions and features is not the best parent theme to use in certain cases. It is advisable to a use parent theme that carries its own filters and action hooks. By doing so, you can make a robust custom WordPress site by utilizing child themes in a very short time. Web designers and offshore web development teams utilize child themes to save time on web development. When utilizing an ideal parent theme, you can dramatically lessen the time it takes to create a WordPress based website. Most good parent themes possess a multitude of functionality and customization features, so developers don’t need to code everything. 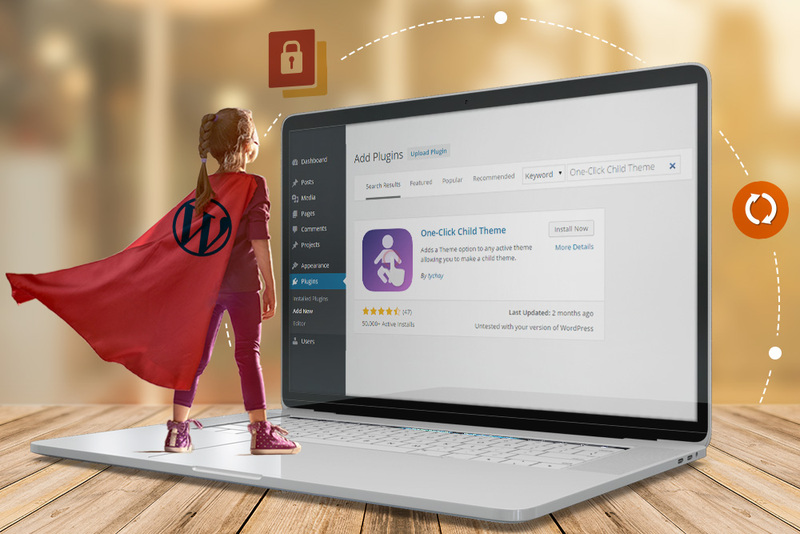 Do-it-yourself developers often use child themes to upgrade an existing theme without having to lose the updating capabilities of the parent theme. A child theme adopts the templates, style and function of the parent theme; thus, IT developers make revisions to the site using child themes without the need to alter anything from the parent theme. When an updated version of the parent theme comes, you can securely update it as long as your changes have been saved in the child theme. A child theme that is founded on a strong theme framework lets you experience a lot of flexibility, without writing huge amounts of code. You can choose which template files and functions you need to change or upgrade, without having to go through the other template files. Aside from that, you can upgrade your site’s functionality and do other fun options. When you create a complete theme, you should visualize all the possible settings and possibilities. But when you work on a child theme, there are always fallback options you can use should you make code mistakes.